at first they gave us a room with an awful smell. We have to ask for a change, and we ended up in the "luxury" room, which was only above average in regards to size, but very basic. The staff were incredibly friendly and welcoming. They went above and beyond to make us feel at home. The food and drinks were delicious and the location can't be beat! We would definitely stay again! Great hostel with friendly staff at an amazing location. It's a great spot if you are a backpacker and don't care if the room is super clean. The location is great and in general, staff were very helpful. They helped me book a bird tour and then after helped me receive a refund for the tour since the guide knew very little about birds in the end. I felt safe at the hostel. The set up and general theme of the place is great but really needs to be cared for a little better. Staff was excellent and very helpful. I love the location of Selina, just at the beach and 15 min walk from the centre. The setup is really nice and beautiful and the food is absolutely great! The beds are comfortable and the shower was also spacious. Would definitely come back to Selina! One of our best sellers in Puerto Viejo! 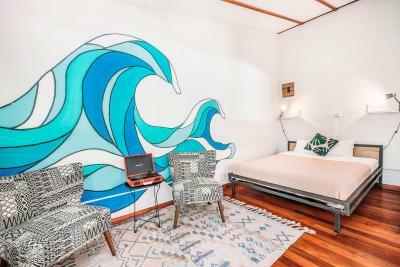 Featuring free WiFi, Selina Puerto Viejo offers pet-friendly accommodations in Puerto Viejo. Guests can enjoy the on-site bar. Free private parking is available on site. The property has a volleyball and football court. 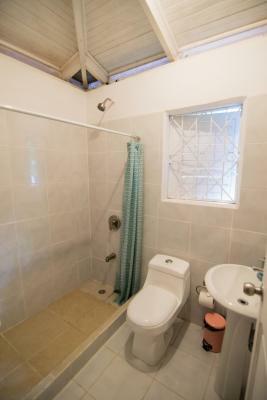 Selina Puerto Viejo offers accommodations in the from of dorms and private rooms. Guests can enjoy the swimming pool and common areas with games and live music. There is an on-site restaurant and a shared kitchen. A co-working space is also available. The area is popular for snorkeling, kayaking and hiking through the lush jungle. Cahuita is 9.3 mi from Selina Puerto Viejo, while Cocles is 1,000 feet away. 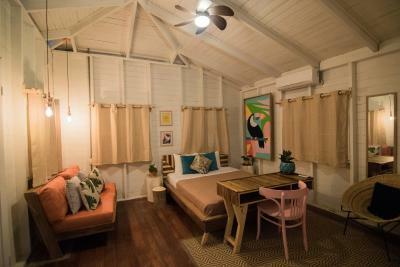 When would you like to stay at Selina Puerto Viejo? Rooms are 47 square yards. 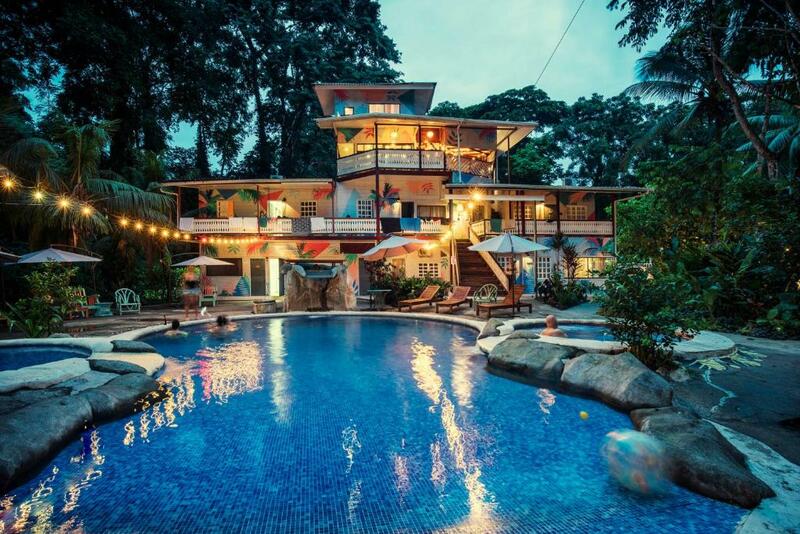 For years, Puerto Viejo was one of the best kept secrets in Costa Rica’s Caribbean. Home to intrepid surfers and expats who decided to live life in the slow lane, its lush forests and virgin beaches were overlooked for more popular destinations. 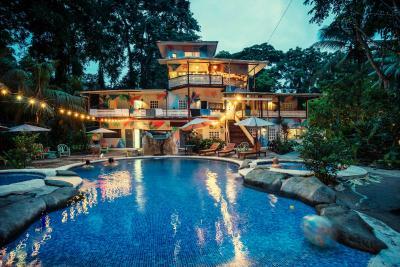 The secret might be out, but Puerto Viejo still retains a laid-back vibe that makes it an ideal destination for those seeking to relax and enjoy nature at its finest. 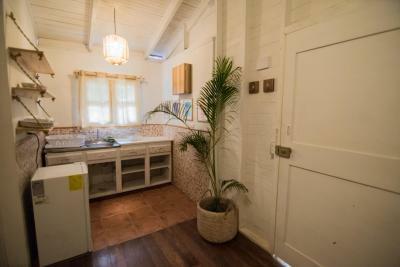 House Rules Selina Puerto Viejo takes special requests – add in the next step! Selina Puerto Viejo accepts these cards and reserves the right to temporarily hold an amount prior to arrival. Only 1 shower for 18 beds in a dorm. Shower always busy. Nice pool and air cond. Room walls were thin and the people next to us were loud. 1. Food not ok at all 2. Water was very limited 3. Out room had a funny (human waste) smell that was really annoying 4. The mattress was like sleeping on the floor, has as hell. Really disappointing stay. The facilities were awful, filthy bathrooms and kitchen, was there for 3 days and didn’t see bathrooms cleaned once. I also paid more for a 12 bed dorm rather than an 18 and the bathrooms for this are outside which wasn’t specified. The food was also expensive but poor, my friend ordered a chicken sandwich which came with no chicken in it? Salad served with meals was old and rotting. Loads of feral dogs running around the eating area/restaurant which was really unhygienic. Overall would not recommended, I usually don’t mind paying more for a Selina because you can count on good service/faculties but this place was awful. Selina by name only. A couple of friendly staff, good distance from cocles beach, hot showers. I would put more activities to join for people traveling alone. Selina is a Life Style not just a hostal. I would probably pick a lot of places because of Selina. It really matters the way people involves you, and for me that I was traveling alone, was really nice to meet new people and talk to the Staff, always available for any personal need. The welcome drink was really nice and the food is really good (try the Pasta as suggested by the barman). I would probably go back to Puerto Viejo to see more things as I only stayed one night, but I would probably go back there for the good vibes that Selina gave me. Thank you for the hospitality! The door of the room would probably be more logical opening the other way. In addition a hook to hang something on would be a nice idea to have inside the teepee. In the bathroom building above the sinks a shelf to put on your toiletries would be a good addition too. Loved sleeping in a teepee, it was very cozy. The tour around the location was good and the staff was very helpful! Warm water from the showers and very good wifi. Loved the bracelet we recieved as well to prove we were staying there ;) The staff can help organize shuttles to other locations in the country as well! They need to update beds showers, and paint a little bit. It was handy and enjoyed the entertainment. Had some issues with my asthma and couldn’t breath very well in the tepee. Marylin from the staff was super understandable and helpful, because of that we had a blast in selina! Thank you so much! They’ve a lack of clean. I stay 2 nights and we didn’t get our room clean. The interiorism of the place is really cool.